Is the heart smarter than the head? 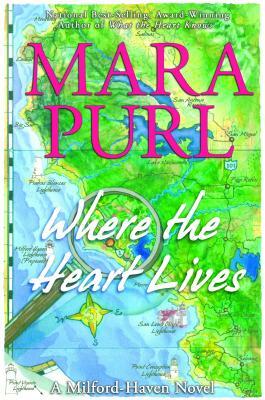 Artist Miranda Jones begins to trust her heart enough to escape from her life of privilege and start over in Milford-Haven, the small town of undiscovered beauty on California's Central Coast. She connects with environmentalist Samantha Hugo-a brilliant PhD twenty years her senior who gave up a son years earlier; and with restaurant owner Sally O'Mally who left Arkansas to create her own dream. Each woman wrestles with her own core issues while balancing demanding careers with the attentions of interesting men. None is aware that journalist Christine Christian has just been murdered while investigating a half-built house. Though the book stands alone, it is also Book 1 in the critically acclaimed, popular series, a multi-generational saga. Based on Purl's BBC Radio drama Milford-Haven U.S.A.